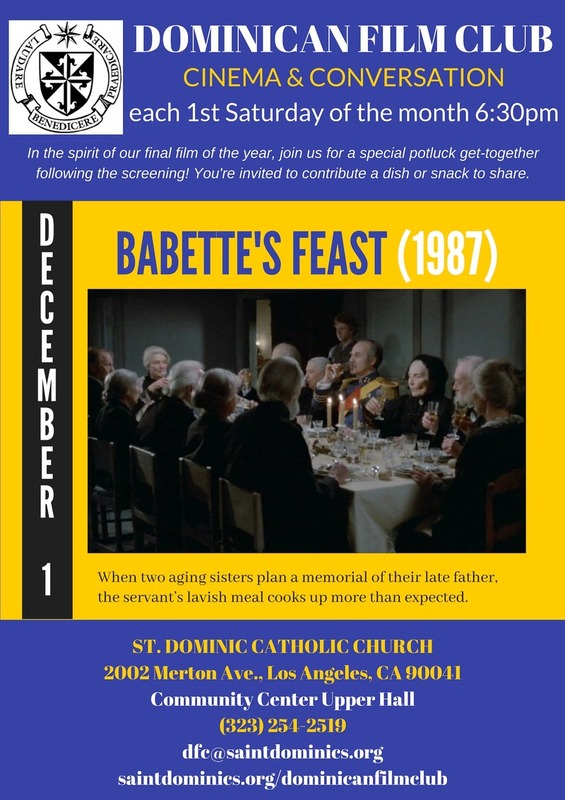 This is a new parish ministry that will host monthly film screenings to spark conversations about art, faith, morality, and the spiritual life. The movies are shown at 6:30 p.m. on the first Saturday of the month in the Adult Education Building. Click here for a map of the parish campus showing parking and the location of the buildings. Check out the schedule of films on this page for our next monthly screening! For more information or to join our mailing list, send an email to dfc@saintdominics.org.